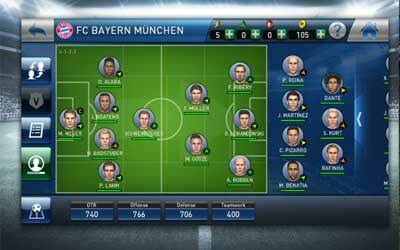 PES CLUB MANAGER APK 1.3.5 is soccer management simulation game for creating and managing users own dream soccer teams. After decided to shift game development into mobile, Konami released PES Club Manager for iOS and now it is available in Android. At first glance, it may seems Konami followed too much the successful Football Manager: 2015, but as expected from real ‘player’ in gaming, this game provides detailed features and real feel simulation game. In fact, it has higher rate in Play Store than its brethren PES Collection. The game is compatible for Android 4.2.0 and above. It comes in 3D graphics with adjustment to 2D view if it is too heavy on the device. As a management game, the game is meant for users to create strategies and tactics. With excellent graphics, the customization by users displayed is far from disappointing. Organizing strategy is also easy with simple interface. As expected from an adaptation from popular PC and console games, it keeps the excitement by designing unpredictable match. It works to avoid making match with similar skills, thus making users have to anticipate each match. It seems it will be too low for Konami to develop such game for free. For now, the Android version is only the Free version one, although users can also buy coins to accelerate the game, it is even can be restricted if users found it discomforting. Because of the free version, the application sometimes crashes and the game is slow-paced if coins are not bought. The game can be played online only, adding the charge and inconvenient when there is no internet connection. Otherwise, the update of PES CLUB MANAGER for Android will be a welcoming change for enhancing mobile game experience. PES CLUB MANAGER is a free-to-play app.